The SIAC bases its pedagogy on the actor’s direct experience, from which it is possible to draw the evidence, and from the evidence to assess the clarity. On stage, the theatre actor is the protagonist. Any other method that doesn’t take this principle into account shall not even be considered. In turn, this principle goes along with its twin value: the audience is the target, to whom we, as actors, have to – it is our duty to – offer an accessible play in terms of comprehensibility, clarity, spectacularity, poeticality and highly professional performance. The author, the director, the technicians and the whole production team follow these principles and work together to make and popularise accessible and enjoyable plays, whatever the genre, hystorical context and acting level. an absolute exchange of ideas, experiences, skills and abilities. Since its foundation in 1986, the SIAC has been delivering acting-theatrical poetics and techniques based on the above mentioned principles. Direct consequence of this pedagogy is the setting up of companies working with the very same method: every year one or more organizations, – and therefore theatrical and professional experiences – originate inside the SIAC itself; this is because many of the talents approaching the SIAC method also gain an irresistible desire to work together in order to develop, produce and create. Every year ArscomicA (once Teatro del Vicolo) produces one or more theatre plays, drawing from and thanks to the many artists that come from all over the world to attend SIAC classes. The INTERNATIONAL SCHOOL OF COMIC ACTING has trained many actors, directors and drama teachers currently working in public and private cultural institutions all over the world. Is appearance in 16th Century Italy, its spread and adaptation throughout Europe, marked a highly important turning point in the history of the western Theatre: with it, the Theatre changed from ritualistic and amateurish to actual profession (art). The new actor was born, someone who possessed a personal acting “know-how”. This gave rise to the Modern Theatre. Commedia dell’Arte as presented nowadays, is an exacting discipline where practical ability and know-how are essential for those who intend to make the Theatre their career. Professional actors who want updated information, pupils from schools of Dramatic Art, students and scholars who study theatrical disciplines are those for whom this Training Session is intended. Commedia dell’Arte is taught by Antonio Fava who speaks English, Spanish and French besides Italian. All languages in the world are welcome at the Training Session. A MAXIMUM 48 PERSONS MAY TAKE PART IN THE COURSE. THIS NUMBER WILL BE DIVIDED INTO TWO GROUPS OF 24 STUDENTS. – Classes from Mondays to Fridays. No classes at the weekends. – Time-table: mornings from 9.30 a.m. to 13.15 p.m.: techniques, gesturing, characterization, acrobatics. – Afternoons from 3 p.m. to 6.30/7 p.m. (depending on the specific programme): study of the Commedia through improvisation and preparation of play parts with improvised dialogue (Canovacci). – The lessons are strictly reserved for the participants. – The Canovacci, the final performance and any other regular performances hosted during the Training Session, will be open to the public. – The leather masks designed and made by the maestro will be available to the students during the Training Session. – At the end of the Training Session course, a diploma will be presented to each student in public at the end of the final performance. The participation fee is € 800.00. € 485.00 for a single room. The accommodation is furnished and equipped with crockery, blankets, bedspread, colour TV and washing machine. Applications for enrolment in the course: student’s name, surname, date and place of birth, address, telephone numbers, e-mail address, CV, photos. Dina Buccino will reply to each person who enrolls. Students who are accepted will receive all the information required to complete their enrolment. Each person will be informed of the registration deadline. Reserved for the ‘veterans’ of the course of Antonio Fava. ArscomicA will send directly the proposal, the program and the information about costs and accommodation, to the veterans previously selected by the precedent courses. The cours will run in the medieval castle in Capestrano (L’Aquila). every year ArscomicA organizes a month of four weeks of very intensive continuation of the Stage Internationale di Commedia dell’Arte. 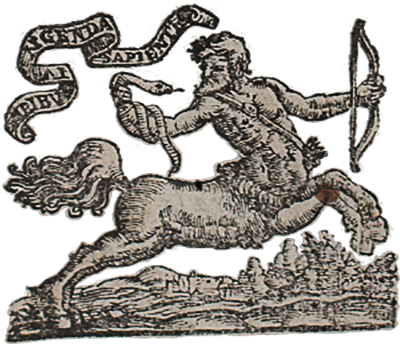 The course called THE ZANNANTI addressed to the “veterans”, to those who have already attended the Commedia dell’Arte courses held by Antonio Fava. is a very dynamic mask, designed to allow creativity to solo moments: it is a kind of Zanni capitanizzato or a Capitano zannesco. Another lost character, but found by the research of Fava, is Sivello. 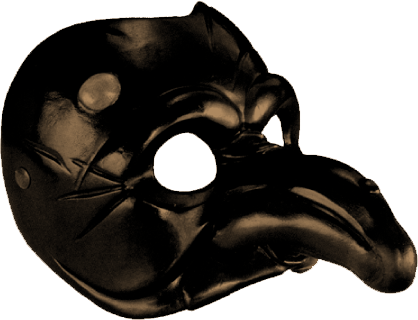 Created by Giovanni Gabrielli, between the sixteenth and seventeenth century, it is a very poetic mask, a sort of riassuntore singer, a commentator of all that happens: no narrator, but a kind of living Gazette of everything that grows in the intrigue. Other important lost figures, at least in the proper knowledge, are the Neapolitan Sarchiapone and that particular character that we call the Gran Cuciniere Ciccialardone. We’ll face “disappeared” forms, such as the Opera Regia and the Commedia Epica. And more, in a continuum that starts from the basic gestures to immediately plunge into COMEDY FOUND. Antonio Fava is a high-level researcher, who leads immediately into the work of the actor all acquisitions came to light. The period runs from 24th June to 19th July 2019. Thank you for your attention and, in the meantime, enjoy the continuation of website.